Pecan pie. Most love it, some hate it… I could probably survive on it for weeks. I love it in its naked state; I love it embellished with chocolate and other flavors. Such as… MAPLE. I have already professed my undying love for Crown Royal Maple, and this is just another excuse to sing its praises. I normally like to "embellish" a pecan pie with a good bourbon...but since Crown Royal released its Maple finished version... I have a difficult time reaching for the plain old bourbon again. This recipe is something I just had to perfect after tasting a sample at the deli in our office building. It’s not actually pie, but cobbler. More forgiving. More pecans. More crust. More… MORE. I was in love from the first bite. 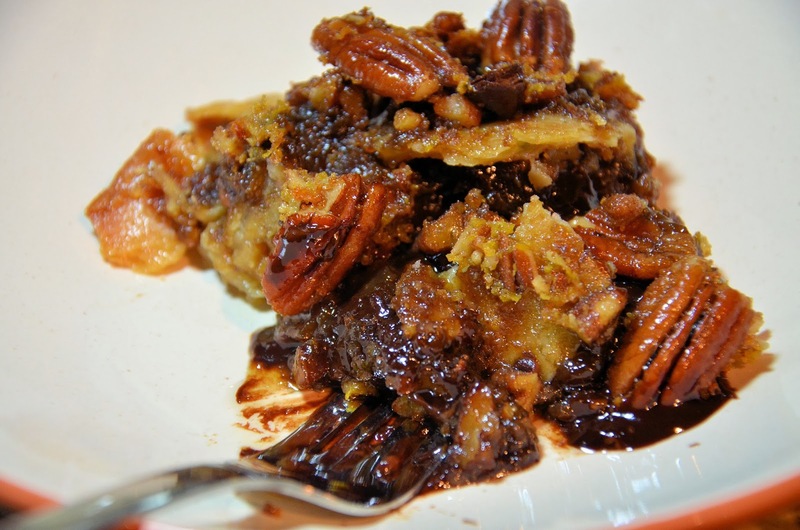 After Googling pecan pie cobbler recipes, I was able to get a good general direction, and took it from there. Of course, the Crown Royal Maple cried out to be a part of the process. Ask and ye shall receive. This dish is truly one of my favorite desserts ever. I added photos from both versions - chocolate and no chocolate. You can definitely tell which is which from the photos, but they are equally drool-worthy. This recipe makes a small cobbler, but can easily be doubled. Toasting pecans, while optional, is really a great touch. It doesn’t take long, and really brings out their flavor. 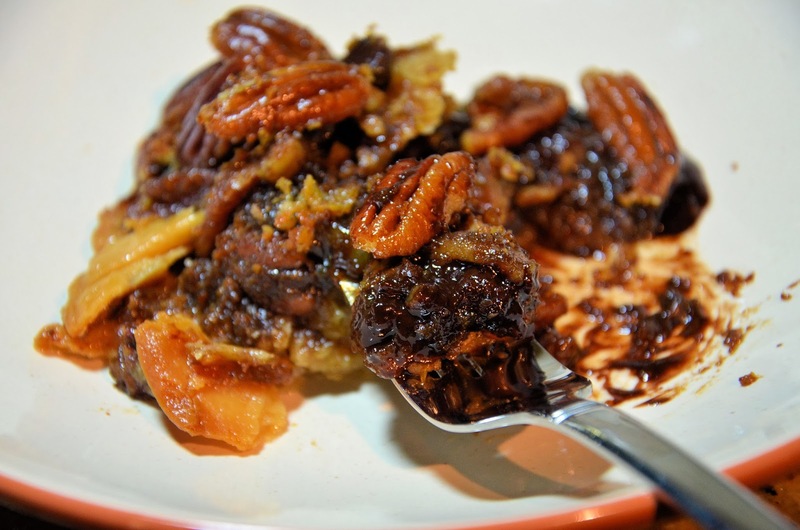 Simply preheat the oven to 350, and bake the pecans in a single layer on a baking sheet for 5 minutes – about the time it takes for that beautiful aroma to begin to escape. Heat oven to 425. Grease a casserole dish with butter – any round casserole dish 2, 2.5 or 3 quart size should work fine. Line the dish with one pie crust. In a medium to large bowl, stir corn syrup, brown sugar, melted butter, Crown Royal Maple, vanilla, and eggs with a wire whisk. Once combined, stir in the chopped toasted pecans (and optional chocolate chips). Spoon half of filling into the pastry-lined dish. 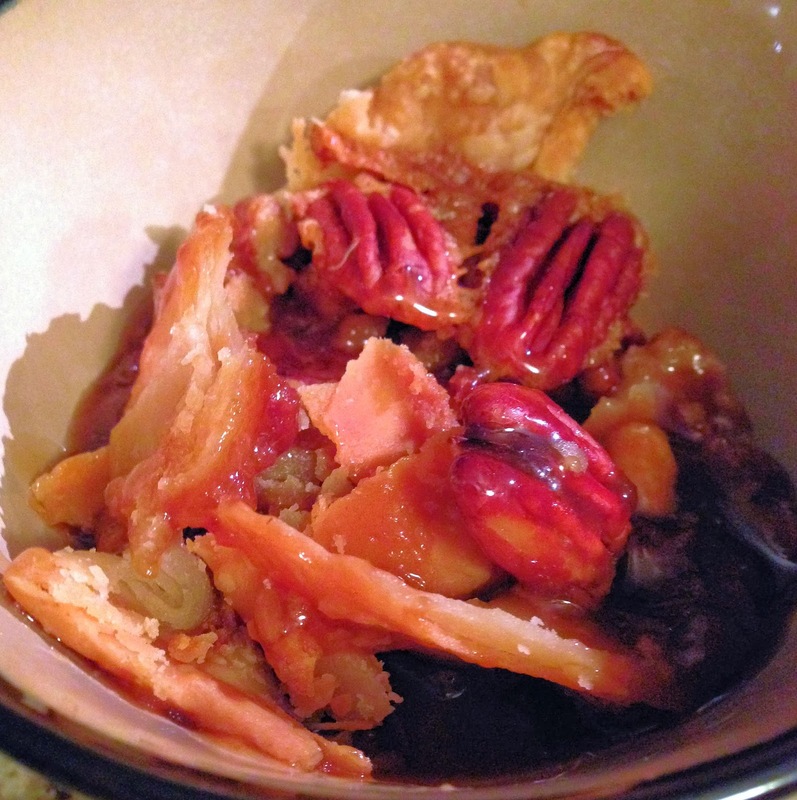 Place second pie crust in the dish on top of the first layer of pecan mixture. Brush (or spoon) a thin layer of melted butter on the top crust. Bake for 15 minutes. Remove from oven and reduce temperature to 350. 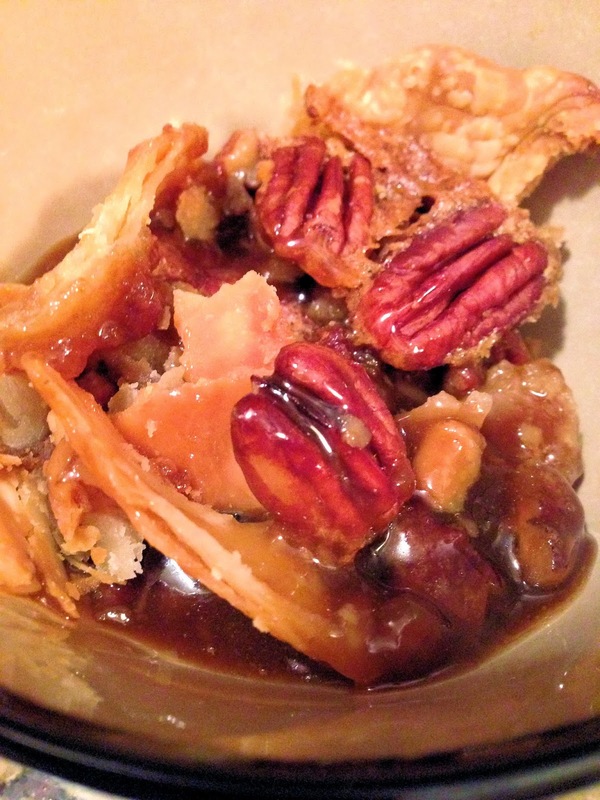 Spoon the remainder of the pecan filling over the baked pastry. 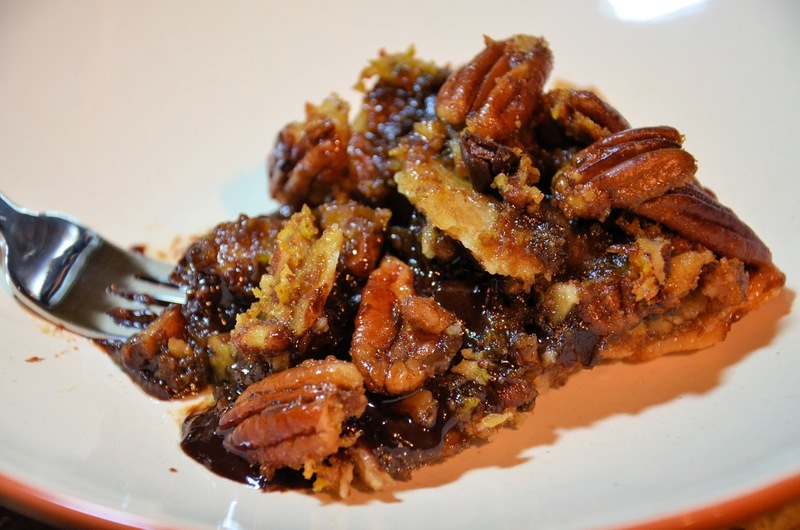 Arrange the pecan halves on top. Bake for 30 minutes, or slightly longer, until set. Keep an eye on the crust to be sure it does not brown too quickly; cover edges with foil if needed. Allow to cool at least 20 minutes before serving. This dish is delicious all by itself, or with a scoop of vanilla ice cream.